The Gehlen Organization or Gehlen Org was an intelligence agency established in June 1946 by U.S. occupation authorities in the United States Zone of Germany, and consisted of former Nazi members of the 12th Department of the German Army General Staff (Foreign Armies East, or FHO). It carries the name of Wehrmacht Major general Reinhard Gehlen, head of the Nazi German military intelligence in the Eastern Front during World War II. 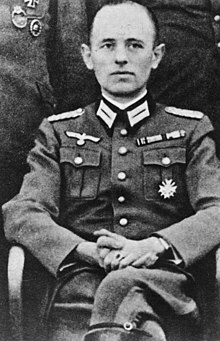 Reinhard Gehlen had all along been under the tutelage of US Army G-2 (intelligence), but he wished to establish and succeeded in establishing an association with the Central Intelligence Agency (CIA), in 1947. In alliance with the CIA, the military orientation of the organization turned increasingly toward political, economic and technical espionage against the Eastern bloc and the moniker "Pullach" became synonymous with secret service intrigues. ...The Gehlen Org employed hundreds of ex-Nazis. Once the Org emerged into the public eye, Gehlen and his group drew criticism of varying quality from both sides, the West and the East. The British in particular had a problem with Gehlen and segments of the English press made sure it became known. 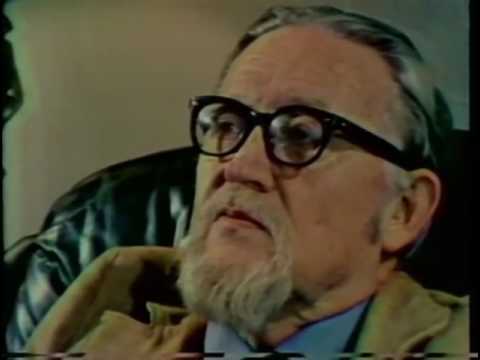 Beginning with an article on 17 March 1952, Sefton Delmer, senior correspondent for London's Daily Express, dragged Gehlen into the news. On 10 August 1954, Delmer set the tone by announcing that "Gehlen and his Nazis are coming". Delmer, incredibly, implied in his story that a continuation of nothing less than Hitler's aims was at hand through this "monstrous underground power in Germany". In more recent days,[when?] after reviewing selected declassified CIA documents on the Gehlen Org, a Guardian article offered a new perspective on this attempt to fight the new tyranny with some of the agents of the previous one "... for all the moral compromises involved [in hiring former Nazis], it was a complete failure in intelligence terms. The Nazis were terrible spies". The communist East as expected, castigated Gehlen's group as fanatical and virulent agents of revenge and of American imperialism, fitting the party's general line that the West was plotting a revival of Nazi power. There was also Alois Brunner in Syria, alleged to be an Org operative, who was responsible for the Drancy internment camp near Paris and for the death of 140,000 Jews. According to Robert Wolfe, historian at the US National Archives, "US Army intelligence accepted Reinhard Gehlen's offer to furnish alleged expertise on the Red Army – and was bilked by the many mass murderers he hired". It appears that this last quote conflates two issues, because the CIA Studies in Intelligence review article asserts that the Org was a capable collector of information on the Red Army but this does not rule out the possibility that U.S. Army intelligence may have been "bilked" on other issues.